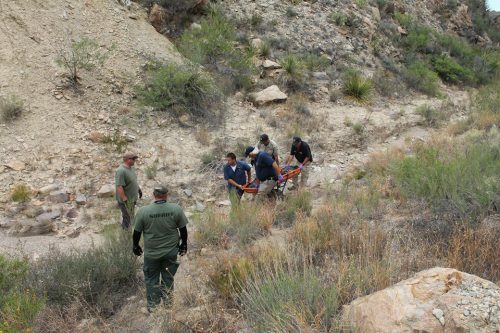 The Brewster County Sheriff’s Office is investigating the death of 31-year-old Errol Zane Trinkley of San Benito, Texas, whose body was found in a rugged part of South Brewster County on Sunday. In a Facebook post, the sheriff’s office said Trinkley was found in a “rough, shallow canyon” west of State Highway 118. Authorities believe Trinkley left his vehicle, walked to the edge of a 50-foot cliff and somehow fell, landing on the rocks below. The death is being investigated as an accident. The cause of death is believed to be a fatal head injury, though the sheriff’s office said an autopsy has not been ordered, pending further investigation. This entry was posted in KRTS News and tagged Brewster County, Brewster County Sheriff's Office, South Brewster County. Bookmark the permalink.